Seeds are a simple way to add some extra nutrition to everyday meals. Heather Grant is a nutritionist with Fired-Up Fitness, a local boot-camp business. She says everyone should eat seeds as part of their daily diet, but they become especially important in vegetarian and vegan diets. 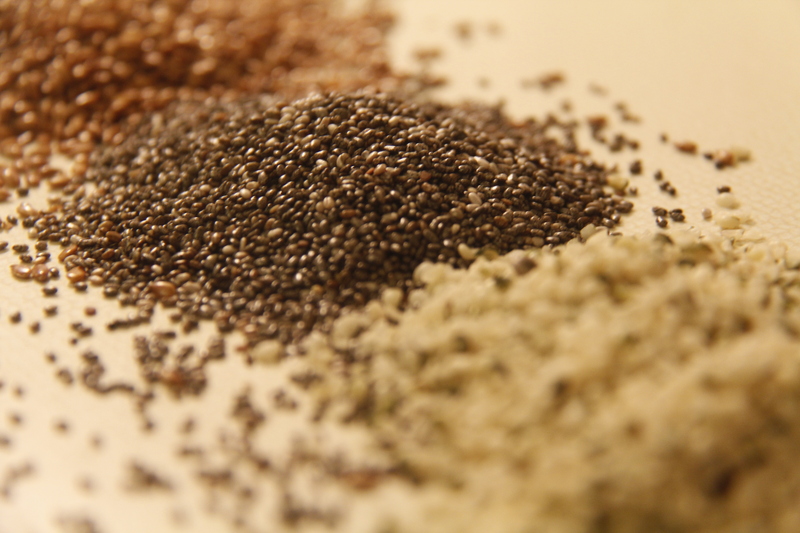 “Including seeds in your diet is for essential fats, mainly as a source of omega-3,” Grant says. There are many seeds that can be included in an everyday diet and these seeds can be added to things like yogurt or salad. Grant says it is important to have the right balance of omega-3 and omega-6. She explains that flax and chia seeds are excellent sources of omega-3 and seeds such as hemp, pumpkin, or sesame contain both omega-6 and omega-3. Recent Canadian School of Natural Nutrition graduate, Rachel Whiteside says she incorporates seeds into meals, specifically for fibre. She says flax seeds need special attention before adding them to food. “You should keep the full seeds (flax) on hand and grind them only just before use as their oils are fragile and can easily go rancid,” she says. Whiteside says hemp seeds can be added to anything just the way they are. Beth Smith, 22, uses a lot of hemp seeds. She is a young, busy professional who is trying to maintain a healthy diet and lose a few pounds. She says she simply throws them into her everyday cooking. “I want to do something good for my health and seeds are easy to incorporate into your diet,” she says. Grant says that getting seeds in the raw form is better than in oil form. Most seeds can be found at grocery stores with organic sections around the city and at health food stores. After opening, the seeds should be refrigerated. • Preheat oven to 300 degrees and spray a cookie sheet with cooking spray. • Combine oats through nutmeg in a small bowl and stir. • Slowing stir honey and canola oil into oat mixture until oats are adequately coated. • Spread granola onto prepared cookie sheet and bake for approximately 15 minutes, stirring halfway through.